My neighbor, Sally is a monarch momma. She's giving the butterflies a better chance of survival by providing a safe environment for the entire start to finish process. And she's providing a great photo opp for me! 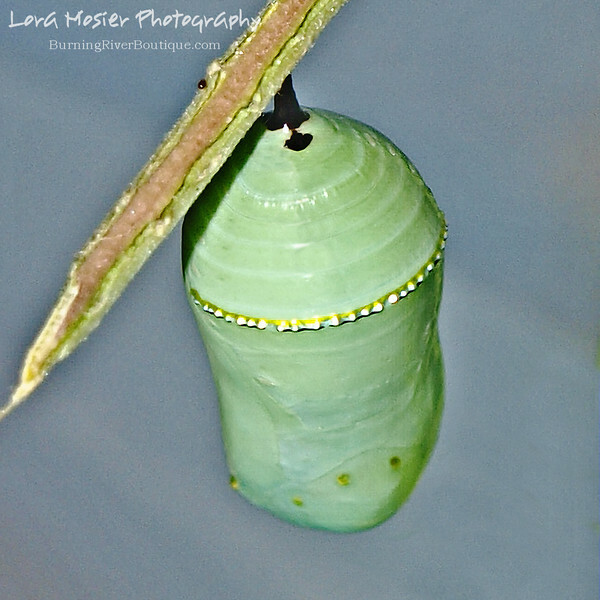 I was fortunate enough to see one of her caterpillars go into the chrysalis. It was a most amazing sight that I will always remember.